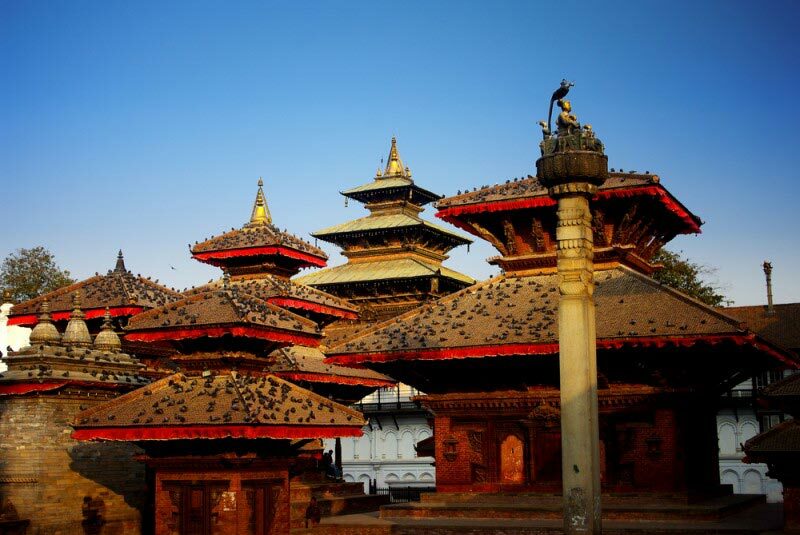 Kathmandu Durbar Square – Royal Residence of the Nepalese Kings Till 19th Century. Kathmandu Durbar Square is a very famous spot in Nepal. It is one of three Durbar squares in the place. This popular square holds the palaces of Shah and the Malla kings, who ruled the area. The Kathmandu Durbar Square is also the site of the Hanuman Dhoka Palace Complex. This was the royal residence of the Nepalese King till the 19th century. Important ceremonies were held at this place and the tradition continues to this day. The entire structure of the palace is very beautifully decorated with elaborately carved wood. There are decorative panels and windows as well. The palace consists of the Mahendra Museum and the King Tribhuwan Memorial Museum. Visitors can also pay a visit to the State Rooms that are located inside the palace. The Kumari Chowk, a popular site, is in the southern part of the Kathmandu Durbar Square. This is considered to be one of the most mysterious attractions of Nepal. There is a glided cage which contains an actual young girl chosen through ancient traditional practices of selection. The girl is considered the human incarnation of the Goddess Durga, the popular Hindu mother goddess. The girl is worshiped during the time of religious festivals. All the different palaces and temples located here have undergone renovation a number of times, since many of them were damaged and destroyed due to neglect or various other natural causes. The Nepalese monarchs have traditionally been coronated in the Kathmandu Darbar Square. Most of the buildings of the square were constructed between the 15th and the 18th century. 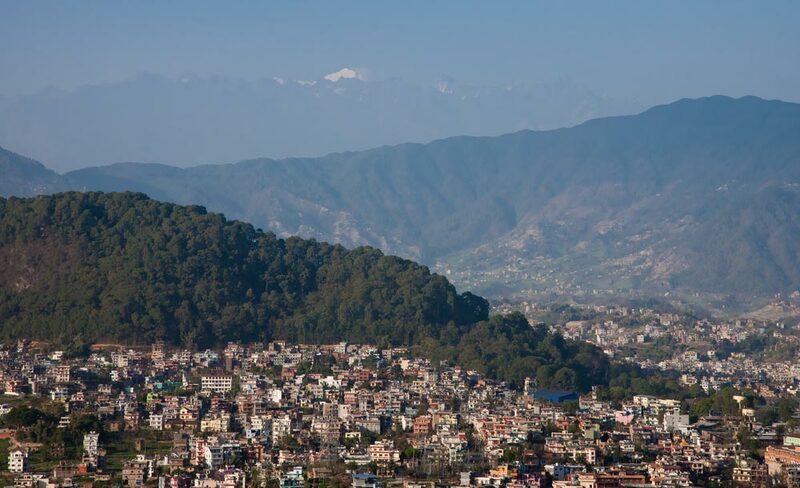 Where is Kathmandu Durbar Square? 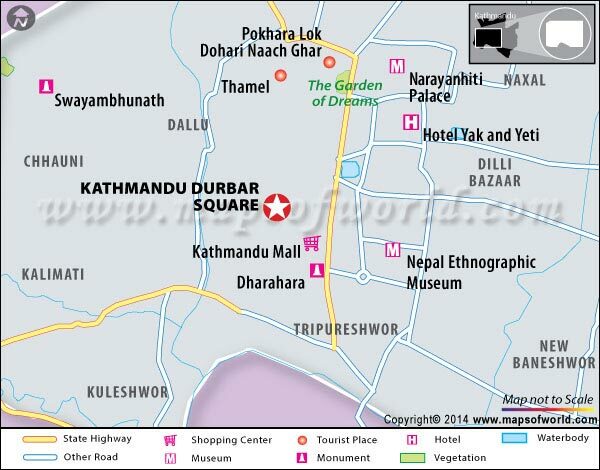 The Kathmandu Darbar Square is located in Kathamndu, the capital of Nepal. The start of the dry season in October-November is the best time to visit as the area is lush green with the monsoon just finishing.